Price alone doesn’t cut it – what we’re looking for is iconic design, beautiful rooms, overindulgent service, and the best food in Cape Town. Inevitably, Cape Town is home to some of South Africa’s most luxurious hotels with its ocean views, old Art Deco buildings and celeb-friendly scenes. With natural landscapes the city is deliciously beautiful, you can never get enough of it in one go. It’s so versatile with all the café, rich culture, vibrant, and historical places. 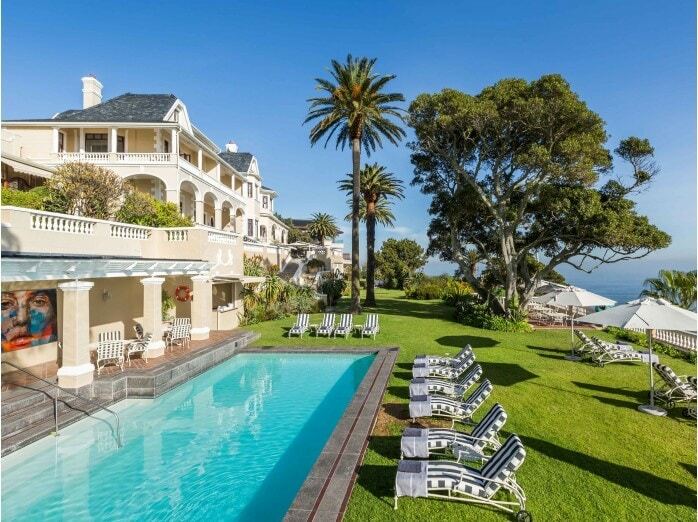 Take a look at the best luxury hotels in Cape Town and get inspired! The most happening and glamorous hotel of Cape Town, it is also the most expensive hotel as well. The hotel has two restaurants, Nobu and Reuben’s. The guest room comes with two different views, mountain, and marina. The rooms have been done with expensive taste, with great view as well as attached bathroom, along with coffee machines and other contingencies for the comfort and convenience of the guests. You can also have great spa services as well. Other features of the hotel are its beautiful waterfront location, bars, the private island suites, outdoor pools, and sun decks. For people who are looking for relaxation can also enjoy the yoga room, salon. The hotel is also very children friendly with the kid’s club. Opened in 1899 the Belmond Mount Nelson opened doors and was the first hotel in South Africa to offer hot and cold running water and it was described as being ‘even better than its London counterparts’. Today the Belmond Mount Nelson Hotel entices relaxation seeking as well as business travelers. The hotel has 201 rooms that are done in traditional decor, enormous bathrooms setups, along with contemporary features like flat-screen TV sets and free WIFI. Many of the suites have balconies that have the brilliant view of the UNESO World Heritage Site, Table Mountain. Comforts of the hotel also include a larger pool, indulgence spa, fitness gym. Moreover, they also have a couple of outdoor pools that are heated. You can also opt from any of the two restaurants or a bar that’s run by the hotel. The hotel has more than 300 room that is done both practically and with elegant style. It’s very popular among business people as well as people looking for a great time on their vacations. Traditionally decorated rooms and suites with attached luxury bathrooms. Buffet breakfast is on the house, which is a very cool and convenient facility. It has over 100 dishes. You can take advantage of the free shuttle and ferry service the hotel provides. Read about staying at Sun International’s Table Bay HERE. This hotel is very famous for their Spa facility. Compared to the hotel luxury hotels it only has 70 room, but despite that, it is trendy among the tourists. 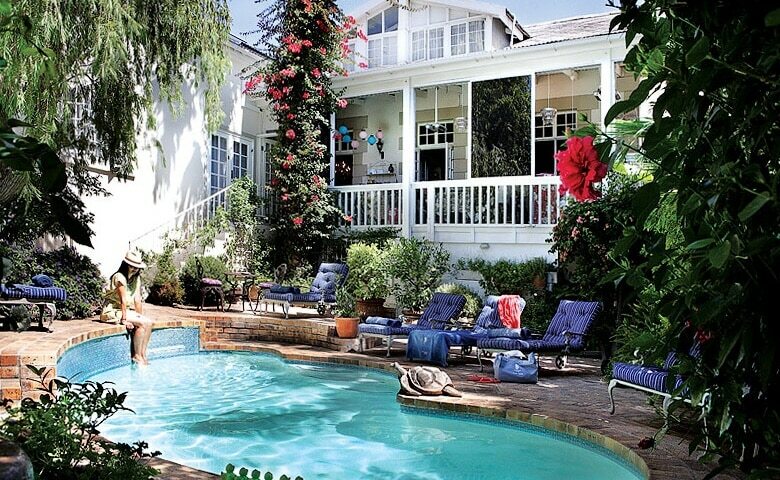 The property is very close to the beaches and center if the cape town area. Only a 20-minute drive away from the nearest beach. The rooms are done subtle colors and patterns that are very soothing. Two pools, as well as ocean view, is the best features of the hotel. The hotel has a high rating because of its unique Parisian look. They also have a pool and spa service available around the clock. The restaurant of the hotel has an extensive menu. The rooms are done beautifully as well, with very speedy room service staff. Best of all the luxury hotel is less in price compared to all the other hotels in Cape Town. With 177 rooms this luxury hotel has a contemporary vibe as well as a prime setting that overlooks the beautiful sea that Cape town has been blessed with. The Radisson Blu Hotel Waterfront also provides a free shuttle service. The hotel has its own pool albeit small, that overlooks the ocean and is heated as well. The ocean view rooms are very cool, and also very expensive. Our list of luxury hotels also has the famous, Blackheath Lodge, that is a small 12-room property set in a Victorian house. It is very conveniently 10 minutes away from the center of the city. The hotel is near beaches and many other restaurants and cafes, which is a great plus for the tourist, who come here mainly for the beaches and African cuisines. The rooms are done in magical décor that will make the guest fall in love. They also have wooden balconies. Free breakfast in the garden by the pool is the main feature of the hotel. The staff is known to be very friendly and helpful. Your stay at this whimsical lodge will be a memorable one for sure.